Thursday evening was a lovely time which I spend with my friend and drinking: Elderberry Wine. I've never tried it before but it was very tasty. It had a little sour taste but was exactly my taste. 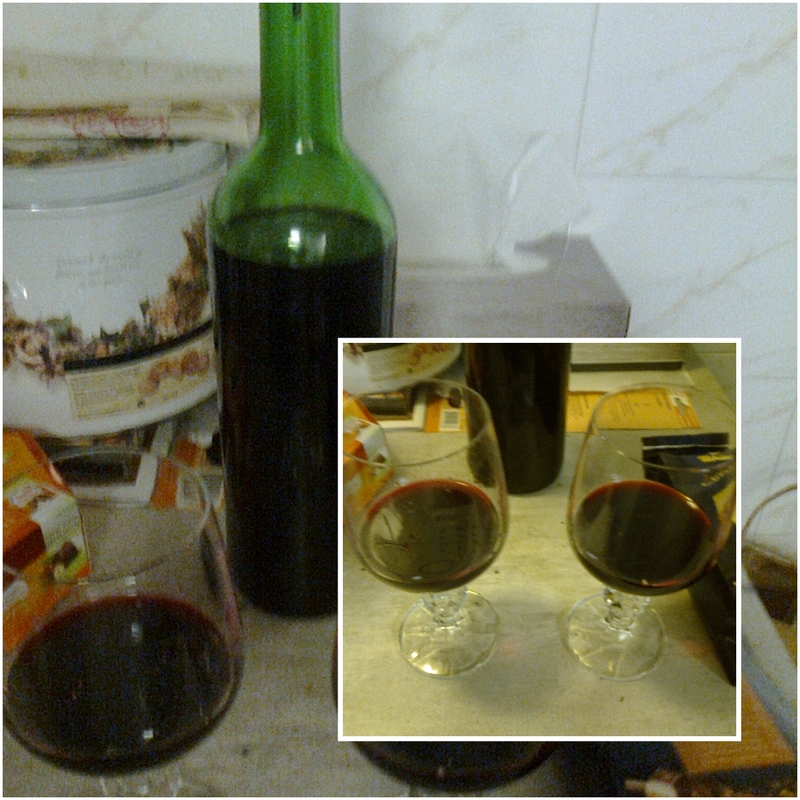 My friend told me, the wine was a home-made one, from an organic farmer who makes stuff like that. WOW! I think I'll buy some for myself. Now talking about wine, I think it could be a nice idea to start a small wine corner here. I do love wine and I enjoy it during the meals or using it for cooking. So I had the idea to describe some of the most popular wines here, every time I'll buy a new bottle. I'll be the "tester". So take a look on the pictures. Sorry for the bad quality, but they were taken with my phone and the build in camera is not the best one. And now a small update about X-Mas. First of all I went home to visit my parents and our animals: our dog and our cats. One of them is living in the apartment, the others live in the cellar and outside in the garden. That's so great. No neighbours, a big house, a lot of space and a BIG KITCHEN!!! Despite the fact we're running into the Christmas celebration in two days - and we start celebrating on 24th with a dinner, and the 26th is as well a day free of work, I made a menu for me and my family for the next days. My mom will prepare some of the traditional dishes - which are for sure not vegetarian, and some of the vegetarian traditional stuff (like cabbage or salad) and I will as well do some extra dishes which an be eaten by everyone. We went for a huge shopping today and I bought everything I wanted. Almost everything - but I'll buy the last 3 things on Monday morning. In my next update I'll let you know what I cooked. Tomorrow I am starting with some antipasti, the brownies and hummus.